Last month our report on the excessive inventory of new Corvettes was featured in automotive news blogs around the world. And after selling just 800 new Corvettes back in January, perhaps General Motors has finally heard from its dealers that it’s going to take some cash on the hood to get Corvette sales moving again because there is finally a new incentive that should help! A check of Chevrolet.com’s current offers shows a new 0% APR financing offer for 72 months on all remaining 2018 Corvette models (Stingray/Grand Sport/Z06). Well qualified buyers must take delivery by 4/1/2019. It’s the first offer specific to Corvettes this year and we are happy to finally see some attention for dealing with the more than 9,000 new Corvettes available across the Country. However, the amount of 2018 Corvettes still available is relatively small compared to the number of 2019s as the 2018 model year was only produced for five months with a total of 9,686 Corvette made in the shortened model year. Meanwhile, 2019 Corvette production started over 13 months ago and make up the majority of Corvettes available for sale. 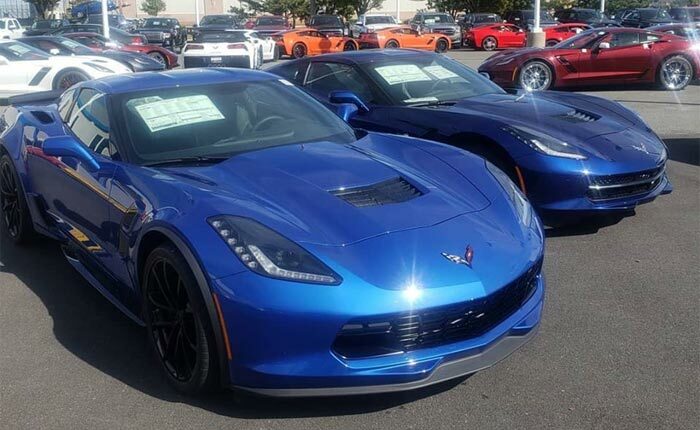 We don’t have any hard numbers on inventory totals by year, but just for illustration, a search of new 2019 Corvettes at Cars.com shows 5400 matches while the number of new 2018 Corvettes is only 353. Still, it’s a great offer for someone that wants a new Corvette right now, and with this being a buyers market, you should be able find a 2018 Corvette that’s been marked down by thousands off the MSRP. As always, see your dealer for details. Do you mean that I’m paying the zero interest rate of car loan?